the diet may have anti-inflammatory, anti-aging and cancer-fighting benefits as well. Overall, the diet consists of 65-75% fat, 20-25% protein and 5-10% carbohydrates. 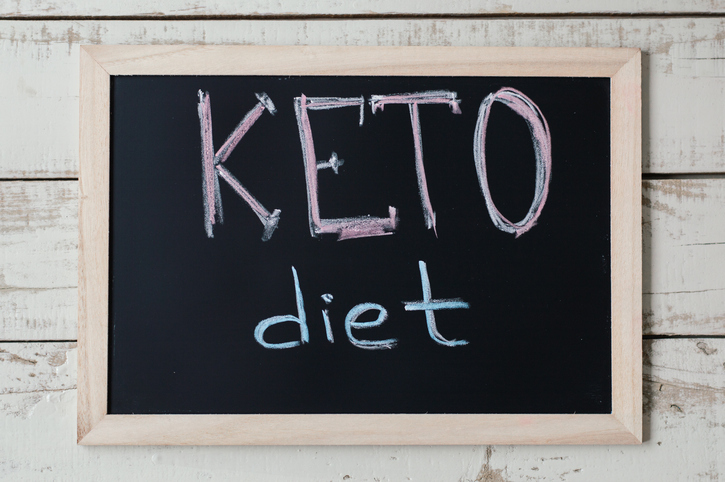 What Happens When the Body is in a state of Ketosis? than blood sugar or glycogen (sugar/carbohydrates). dairy and grass-fed meats acceptable for the keto diet. bleaches and other chemicals. Processed trans fats are to be avoided. It is a common misconception that saturated fats increase the risk of heart disease. small and very small LDL’s which are more associated with heart disease. fats that can bump up your overall fat intake. be stored and not burned for energy. that have additional hidden sugars and coatings. and ketone levels are not correctly managed. hormones such as ghrelin and leptin. ketosis. Breath testing only measures acetone. maximum of 3.0 mmol/L, where ketosis is optimized. of ketones have no increased risk for ketoacidosis. metabolic conditions that involve nutrient deficiency. shifting metabolism or a supervised therapeutic program. healthy lifestyle, then monitor your progress. If you require more information, contact ANMC for further information.